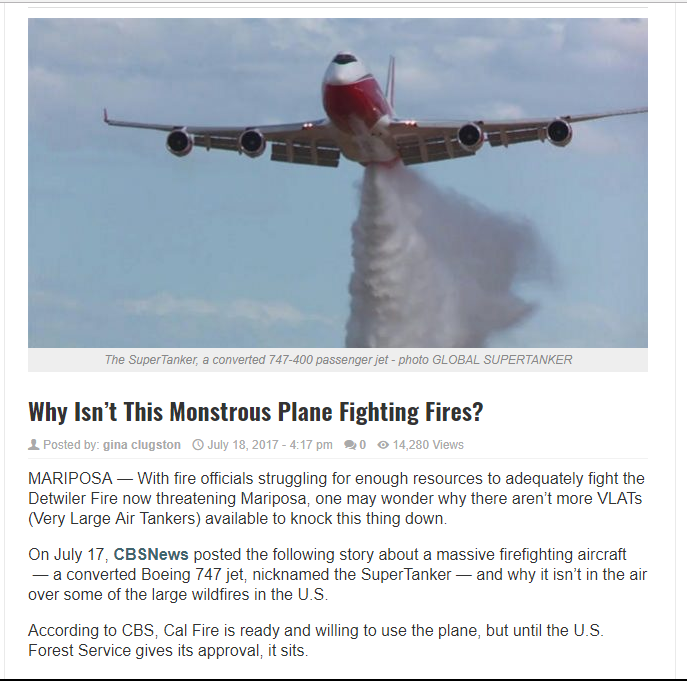 But the company says the U.S. Forest Service is seeking to keep the plane grounded by offering a contract limiting firefighting aircraft to 5,000 gallons (18,900 liters) of fire suppressant and won't say why. The company says the federal agency is putting homes and lives at risk just as the current wildfire season surges past the 10-year average for land area burned in a decade that includes some of the most destructive and deadly wildfire seasons on record. Late last month, the company filed a protest with the Forest Service contesting the size limit that appears to conflict with the Forest Service's 2012 air tanker modernization strategy report. That document identifies large-capacity tankers as an important part of the firefighting effort as the agency tries to pay for fighting fires without using money intended for such things as improving recreation opportunities for forest visitors. Forest Service spokesman Mike Ferris said in an email the agency couldn't comment specifically about the possible 747 contract because of the company's protest. Watchdog and firefighter advocacy groups said the agency might be trying to cut firefighting costs that have been using up big chunks of its budget. The Forest Service spent $1.6 billion in 2016 fighting wildfires, an amount second only to the $1.7 billion spent in 2015, according to the National Interagency Fire Center. 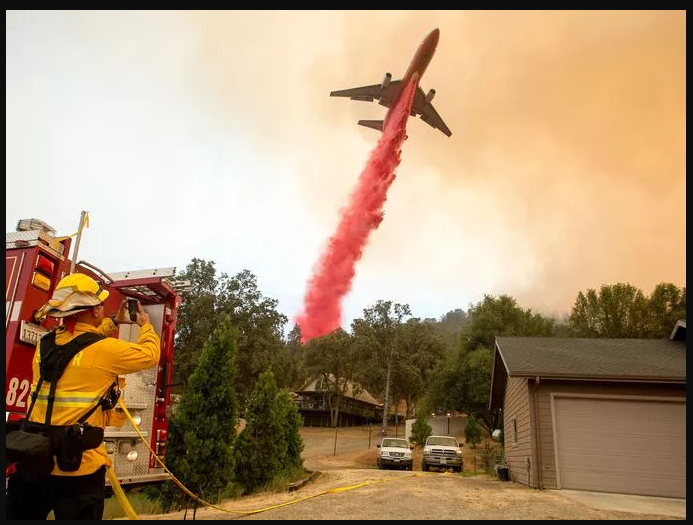 A significant part of the Forest Service's firefighting cost is buying firefighting material at about $1 a gallon and paying for the aircraft to drop it. 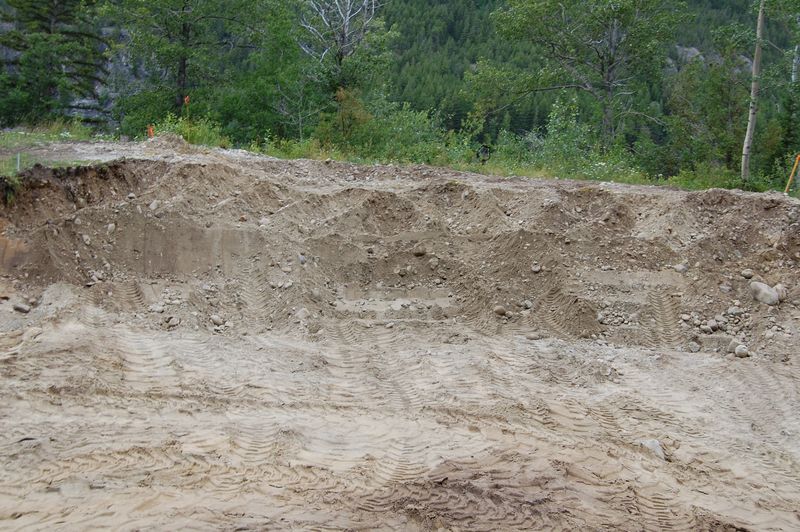 Last year the Forest Service reported dropping more than 19 million gallons (72 million liters) on national forest system lands, mainly in Western U.S. states. The 747 can drop its entire load of 19,200 gallons (72,700 liters) in a line that's from three-quarters of a mile (1.2 kilometers) to 2 miles (3.2 kilometers) long and more than 200 feet wide. But it can also make eight separate drops from one load. 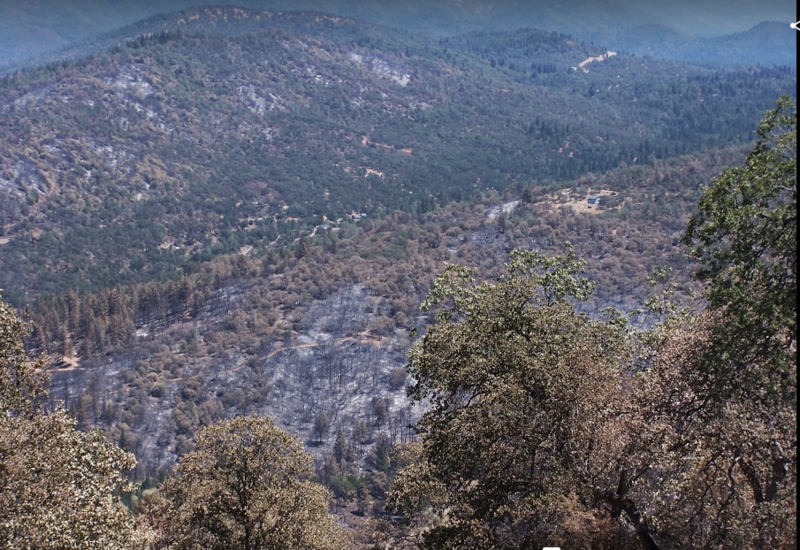 Not me Bill, I heard Cal Fire say that no resources are ever held back....It would take a eighth grader to believe that. Below is what hit us in 2008. They dropped retardant below but they never got a line in to block it, and so they fought spot fires on my hill for two weeks. 2nd pix is zoomed out. Best wishes and good luck Dave! You guys out west really are in the "last frontier" and feel the full wrath of Mother Nature. Today's weather is cooler but forecasting winds at 30 kmh with gusts to 50 kmh ... again.....!! Then there are the defensive backfires. Must be well managed by USFS. Good to hear you're safe! Much better today with the skies clearing to the west! Thx. The next day, Monday, we went to town for the first time in 7 days of being CHP road blocked in. The town hills all burned and the hospital just about paid the price. 4,500 fire people and 500 trucks was a bit much for our small town. I was going to stop and have a beer but decided the brew at home was the way to go. When we got home the picture is what we saw. The DC 10 came back with a few C130s and half a dozen skycranes and tamed it a bit. The Merced river out of Yosemite is right there at the smoke plume, so the fire folks can swim. Other than having to unpack the truck that my SO loaded we are going to have a slow day today, I think…. The people with unpowered homes are working hard with spoiled food and are being recommended to toss the refrigerators. Yuk! Still burning! We drove the fire line. This Detwiler fire was huge! Still 5,000 fire people in our small town. They are building LA style freeways to block the fire and future ones. An airshow every day until 8pm at night. Wow. All the best. We are just as dry here in South Africa and dread the thought of a fire... We aren't geared up like you guys are either. What part of South Africa, one of my Engineering contacts at Schneider is from there and he is always trying to get me over. We do have alot of infrastructure like the picture, but I will tell you it did very little when this fire burned the first 24 hours. The town of Mariposa was probably a hour away from flattened. This got some cycles this week during the fire with the house cooling 24/7 to keep the smoke out. Eastern Cape (East Coast). If you visit then give me a shout!! Will do! Likewise! My friend was from a rural part near the city of Durban. Hey Dave, hope youre going ok with the fires. Is this load management pertaining to diversion loads or would that be done at the charge controller? Thanks Ben. We are doing fine but the 60 people who lost their homes are not. In most cases there was not enough time to get someone to the home to hose it down, or they just left as they were told to, or when the utility went down and they ran out of gas. 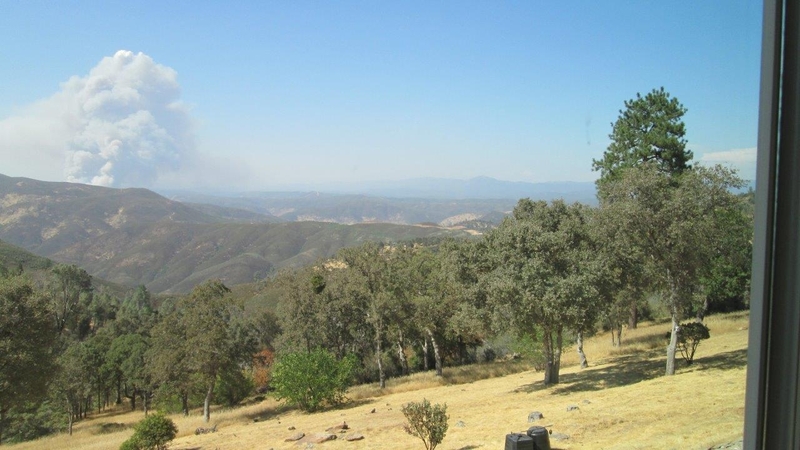 Alot of the blame goes to the State and the EPA for not allowing Cal Fire to do controlled burns to build fire breaks. The whole town came very close. They do allow the controlled burns in the National Park 20 miles from here. And so it is a quandary. The load management on the Bridge is separate from the contacts on the Mppt which also could do load diversion. The Bridge will also do the items you mentioned as well as a few that are being tested (and begged for)! I have always wanted a far easier way than I currently control wifi devices like mini-split heat pumps based on Soc. This one thing, as simple as it is, needs to be done with wifi to avoid solenoids, external wiring, SCR's and such. Using simple IFTTT algorithms that each system manager can tailor. 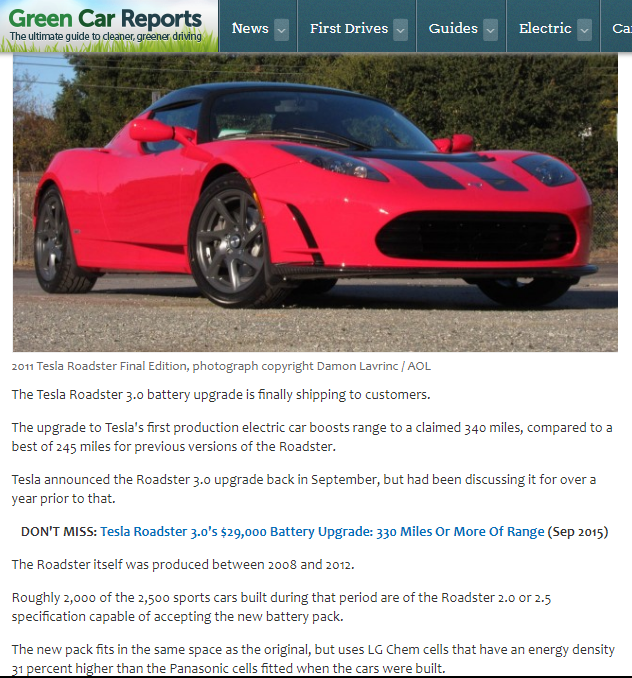 Upgrade option LG 375V @ 56 kWh. The same design as the RESU series but a power design rather than energy. Another South African here and yes, to echo MMaritz invite - you must come visit especially with the Exchange rate you will have a fabulous holiday at great value. A question about the Conext bridge - do you know if it has been released? I have purchased a RESU 10Kw but difficult to get a definitive answer here. The Conext Bridge has been released but I have been waiting to say anything until the final "Blessing from LG Chem" who are testing it. This was suppose to have been done 2 months ago but they seem to all be on vacation. To be fair, alot of big business slows down this time of year. I really think it will be this week. The Conext Bridge is in the store here for sale and major distributors like AEE solar, my supplier have it also. I will be Field testing for Schneider, the dual battery option and the CSW 4048 as soon as firmware is done. That should not take long BTW. The only real hard part about using this marriage of an XW power system and storage from LG Chem has been to not worry about it. Drop me an e-mail below if you want more off the forum. 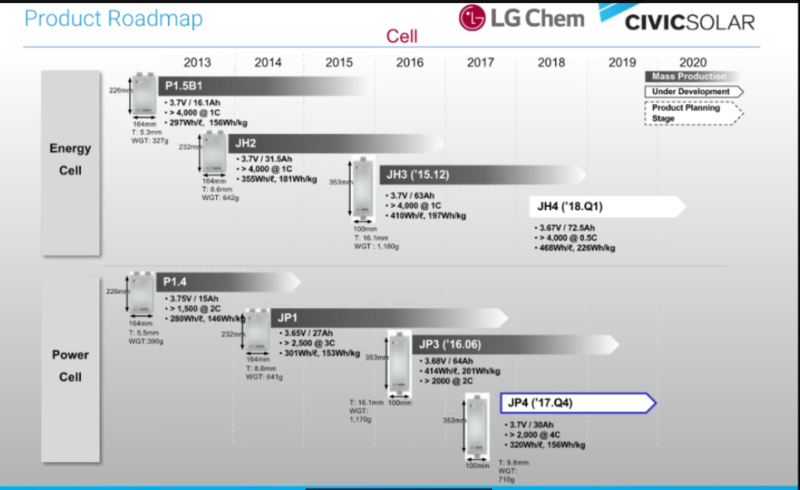 Next year, even better for the energy cell with the JH4 series. Does it now work with XW6048 as well? Did you ever see the movie Ground Hog Day? As previously mentioned here to you, the answer is NO. Maybe you missed it, but watch the movie anyway! However, if you perform an upgrade or masking of your xw6048 to an xw 6848+ the firmware can then be loaded to run Conext Bridge. I k ow the guy gets caught in a blizzard that he didn't predict and finds himself trapped in a time warp. He is doomed to relive the same day over and over again until he gets it right. Very sarcastic comment. I can be sarcastic as I have been stuck in wildfire smoke most of the summer. We have one of the best county fairs in the country and it is going to be 100F +, smokey, for the next three days. We don't need windows anymore. The good news is it is almost happy hour. The screen shot is our heat pump which has not been off all summer. First time every like this. The news from Texas just kills me also and I have called this Ground Hog Summer ! Cheers and cut me some slack! Hey Bill, others, The 747 stuck in the hanger by lawyers, just flew 200 feet off my roof. Four fires burning near bye. getting real old ! A weather change on Wednesday should get the flow going east, we hope! Even San Francisco hit 105F Bill, hope you did not get the smoke also! Happy Labor day! We do have some smoke, but not too bad (just a little hazy and a bit of smell). Since it was very dry, the heat was not too bad (no A/C for most people). Only a few days of heat, and down to low 80's today for a high. So far, no brush fires locally for us. Hope they get the fires out near you and in Los Angeles. And terrible with the floods in Houston--Apparently about 2 more weeks of floods/risk of floods as the water works its way to the gulf. 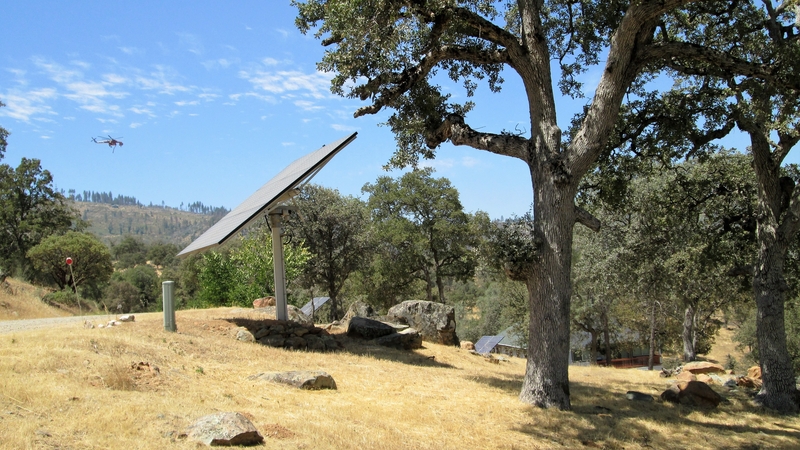 Solar innovation continues to make good mainstream progress. With entire subdivisions leveled up in Northern California--Any lessons learned yet? Did they have wood shake roofs (for many years, wood shake shingles were not legal in California--But there were "fire treated" wood shake which was legal), flammable siding, simply too much dry vegetation next the to home, or what? With the large developments (10's to 100's of homes) with near 100% fire destruction (large homes on city/small sized lots--zero lot line for some?) --What happened? Or is this just the consequences of large wild fires and not enough fire fighters per home/business? Need 1x 10,000 cistern per home with fire pump (gasoline or diesel?) and hard attached sprinklers (start and forget system) to keep the home/property wet for 12 hours? Enough flame, fuel, and wind--And just about anything short of a concrete building with no windows is going to catch fire? the large subdivisions and shopping centers that were lost, were due to high winds fanning flames into 100 foot horizontal sheets of fire, even swept over 8 lanes of freeway. concrete block & metal roofs are the only answer. and gravel landscaping. There are ways to have beautiful yard and garden and still be fire safe! Look up the Master Gardeners in your area. Not sure if they get into Canada. They are in all the states and each county has cooperative extension. They are free and funded in California by UC Davis. That wind is nasty and the fires can make there own! One has to also make sure all attic ventilation is screened 1/8" or less. Some just close it up down in the rural Santa Anna windswept zones. Thanks Dave I shot off a letter to the MGAssoc of BC on how to blend the fire risk management and beautification on a very gravelly site.